Many people in the internet are always wondering which cologne or perfume is best for men. Some ladies have always wanted to purchase a perfect perfume for their boyfriends but they are confused when it comes to choosing between the Armani Code and the Blue De Chanel. In this article we are going to give you an Armani code vs Bleu De Chanel review. We are going to look at the specs of which cologne and come up with a fine solution that will help you out in your next shopping. The Bleu De Chanel perfume is a sophisticated perfume that was released in the market in 2010. In 2014 the Bleu De Chanel was upgraded. 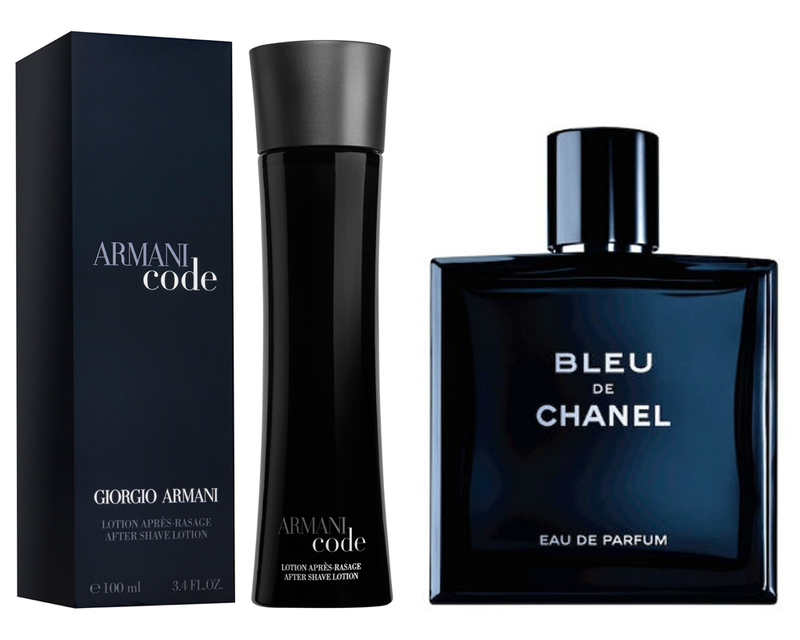 The Armani code is another perfume that is also very young in the market-released in 2004. One of the biggest differences between these two perfumes is the ingredients that are used to manufacture them. For instance the Armani code is mainly composed of apple, cumin, woods, citrus and lavender. The Bleu De Chanel possess a fine blend of lemons, cedar, amber, patchouli, sandalwood, nutmeg, grapefruits, incense, mint, jasmine and pink pepper. This means that the benefits of Bleu De Chanel are more than those of Armani Code. You should also not that Armani Code has a strong scent that does not last long. The scent produced by the Bleu De Chanel is not that strong but its natural scent lasts longer. There is also a comment that the scent from the Bleu De Chanel is much more masculine compared to the Armani Code- which is more feminine. Some people also think that the scent of the Armani Code would vary from one man to another (this depends on the natural skin smell, the diets and your stress level) but the scent of the Bleu De Chanel is almost the same. perhaps the only similarity between these two colognes is the quantity of perfume that is packed. Even if the price of these two colognes is almost the same, we can say that the Bleu De Chanel is a better perfume. This Armani code vs Bleu De Chanel review will help you make a better decision in your next shopping.